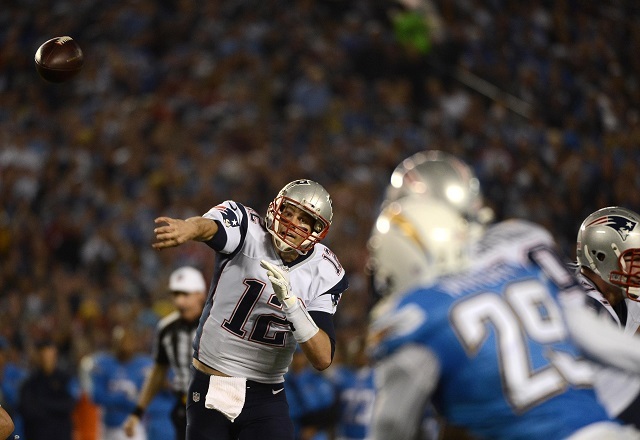 The NFL is on pace to have its best passing season in league history. No, not a specific team, but the league as a whole — there will have been more passes caught for more effective yardage over the 2014 NFL season than ever before, in the entire span of the National Football League’s 44 year existence (while the NFL was founded in 1940, it didn’t really become the NFL until the merger in 1970). That’s pretty cool. It’s also not that surprising, in that the league has become increasingly pass happy, with the game evolving away from short yardage pounded out by running backs hurling themselves into linemen for entire drives at a time. The good people over at Football Perspective recently put together a really great post illustrating exactly how much the yardage per season has increased, and it’s a tremendous read, but we were a little more interested in which teams had been leading the charge since a rule change in 1978 really opened up the field for offenses by disallowing defenders from roughing the passer more than five yards beyond the line of scrimmage, which paved the way for many more receptions, many more points on the board, and many more wizened family figures griping about the good old days and the way football was played when “men were real men” and the like. So, in celebration of the fact that the passing game is awesome, and that more passing leads to more entertaining football, we’ve compiled a list of the seven teams that have taken the most advantage of the 1978 rule change by compiling the most throwing yards since the new rule was enacted. The data, as per usual, comes from Pro Football Reference. 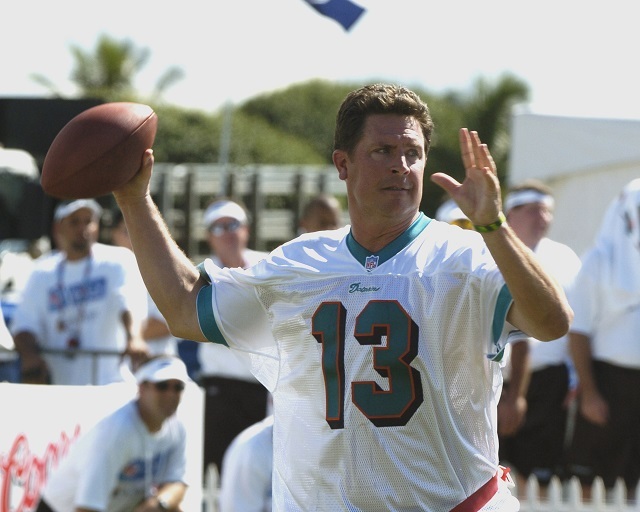 Between these three franchises, over this time period, are Dan Marino (pictured above), Drew Brees, and Joe Montana. They are not historically regarded as bad passers, shocking as that may seem to you. While Marino’s cannon arm utterly dwarfed the offensive output of quarterbacks that came before him, the introduction of the West Coast offense, a byproduct of San Francisco with Montana at the helm, would continue to elevate passing numbers well beyond the lifetime of a single player’s career (Miami, meanwhile, is still trying to find the same caliber of signal caller that they had in the mid ’80s and ’90s). Noticing a trend yet? While it seems like a bit of hindsight bias when the top throwing teams are all bunched together, it would only follow that teams with great passing quarterbacks — The standouts in this batch are Brady, Bledsoe, Elway, Manning, and Rivers. Brees started in San Diego, but didn’t turn into a superstar until he hit The Big Easy. 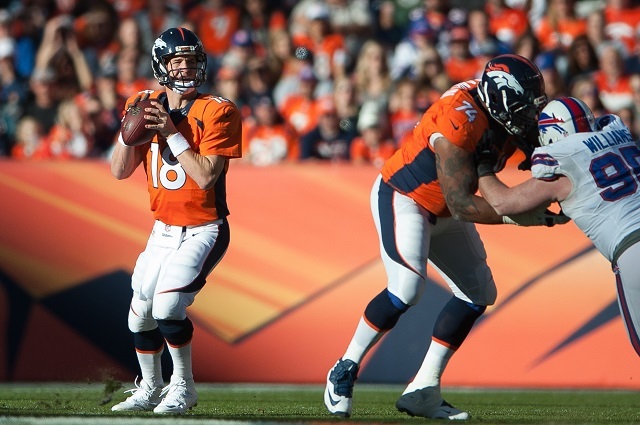 — are the teams that offer up massive quantities of thrown yards each season. The Broncos, of course, get a special nod here for their incredible 2013 season, where they put up the best offensive performance in a single season ever. 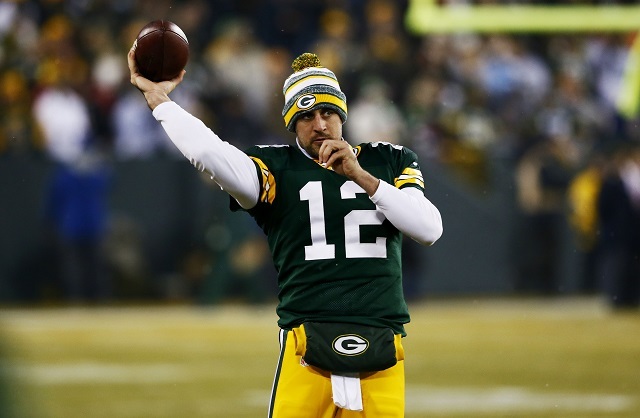 Between Lynn Dickey, Brett Favre, and Aaron Rodgers, Green Bay has enthusiastically thrown the football as often as possible almost as soon as the rules changed. While their spot at the top of the leaderboard suggests that an extraordinary ability to pass the ball might not correlate all that heavily with winning championships (since 1978, the Packers have only won two, one in 1996 and one in 2010), but it has certainly helped them maintain a fairly constant playoff record, even if the ultimate prize has eluded them more often than not. For the complete list of team yardage since 1978, click here.